Tractors are a boys best friend. 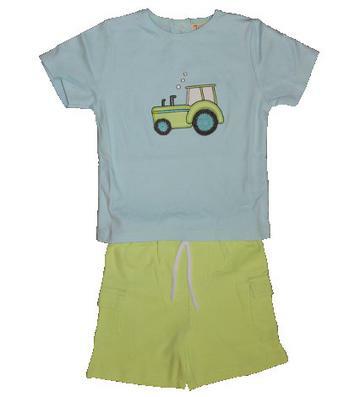 The light blue shirt has an adorable mint green tractor applique on the chest. There is snaps down the back to get on/off easily and matching mint green elastic shorts. These shorts have draw strings and cargo pockets on the sides. This super soft outfit is 100% cotton.